FARIBAULT, Minn. (AP) — Several tornadoes struck southern Minnesota as severe storms packing powerful winds and heavy rain left a trail of destruction overnight, the National Weather Service said Friday. 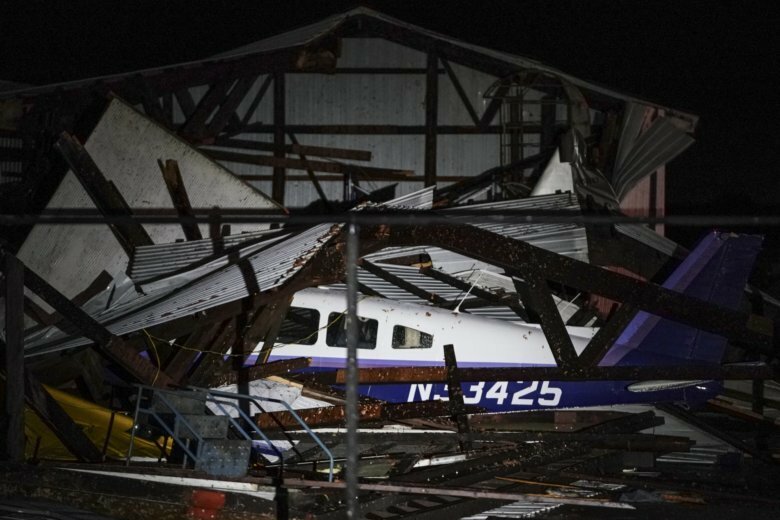 The extreme weather late Thursday damaged homes and businesses, and turned a small airport upside down, but didn’t appear to leave anyone with physical injuries. The weather service confirmed that tornadoes struck near Faribault, Granada, Morristown, Lake Elysian and Waterville, though it was still determining whether Lake Elysian and Waterville were hit by the same tornado, or two separate twisters. Suspected tornadoes were also reported near Medford, Northfield and Randolph. The hardest-hit area was Rice County, about 40 miles (65 kilometers) south of Minneapolis. A suspected tornado flattened a restored 100-year-old barn near Northfield that had been a popular venue for weddings. Owners Pat and Tammy Winter were beneath the building when the storm hit. They said on Facebook that they and their animals weren’t injured, but that they are devastated by the financial loss. “Our hearts are broken, last night’s tornado left our precious Red Barn in pieces,” they wrote. The municipal airport in Faribault remained closed Friday after sustaining heavy damage. Hangars collapsed on top of planes and several aircraft that had been parked outside were tossed around by the winds. Rice County Sheriff Troy Dunn said about 36 homes sustained damage in Morristown and around a dozen were uninhabitable. “We’ve had no reports of injuries, which is surprising when you see the wrath that this storm brought on to our county,” Dunn said. Up to 4 inches (10 centimeters) of rain fell in some places. The Twin Cities posted a daily rainfall record of 3.28 inches (8.33 centimeters), beating the old mark of 1.82 inches (4.62 centimeters) from 1902.